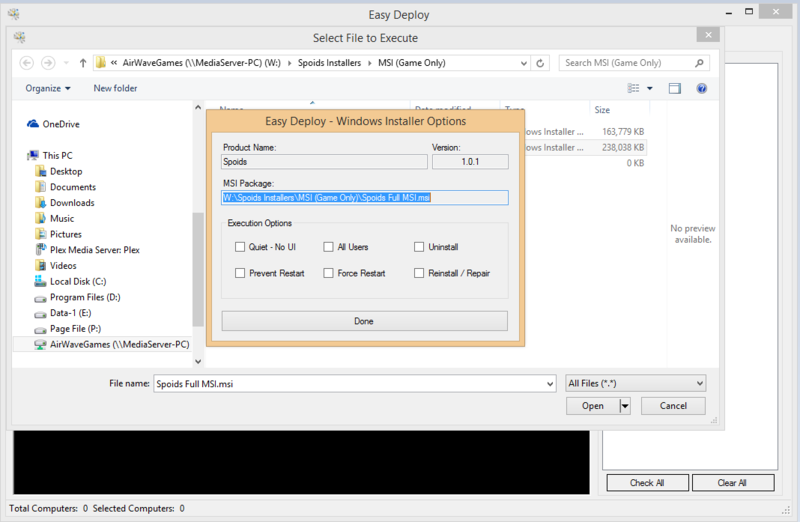 Easy Deploy is a front end GUI for PsExec (from Sysinternals). 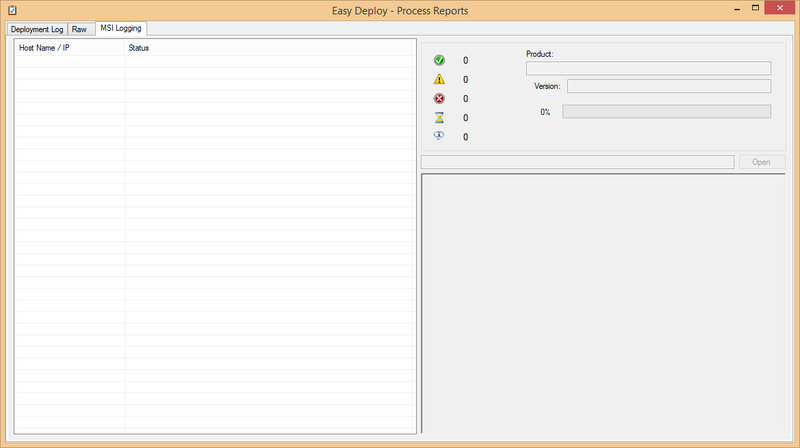 Easy Deploy was developed as a personal project to make my tasks at work easier and more efficient (when I was working as a computer technician). It has been in use for over two years at my place or work by professional computer techs. 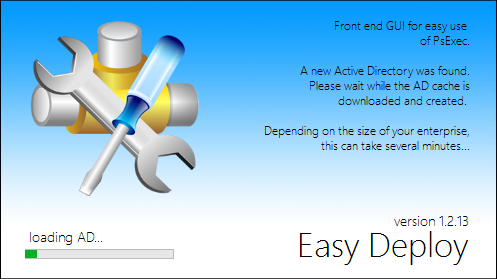 While we are now utilizing SCCM 2012, this little tool has proven itself effective in performing endpoint management tasks; it is simple, quick, and nimble. When I developed it, I tried to make it idiot proof and I think I did a damn good job at it. Give it a try and see for yourself! Keep deployments under 150 devices. Use MSI packages when possible. 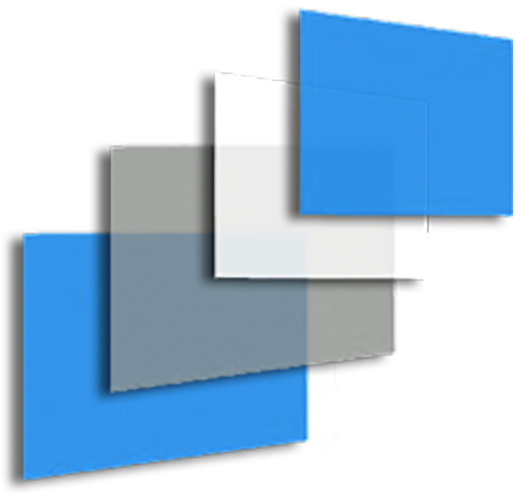 Download the latest version of PsExec. This is provided as-is; you may find bugs. Report bugs via the Contact page. See this PowerPoint for other details. 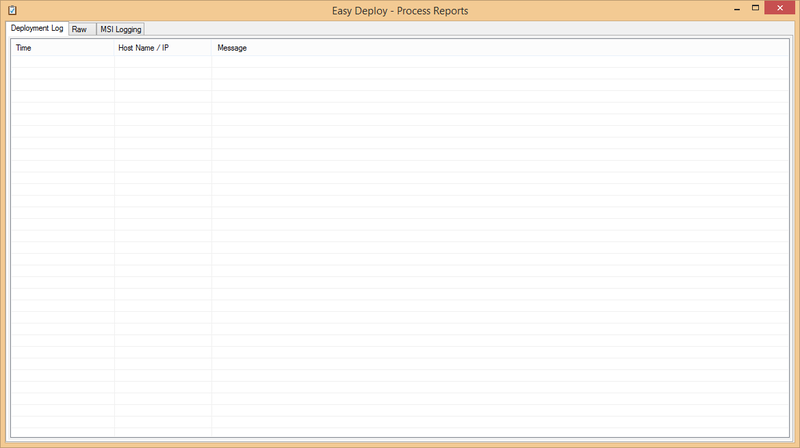 Allows admins to start concurrent remote sessions. Need help or want to chat with others using EasyDeploy? Join the Slack channel to be part of the EasyDeploy community! If you need assistance, send me a message via the Contact page. I am glad to provide assistance and answer questions. Give me at least 24 hours to respond. If this tool has helped you in any way, consider making a donation to encourage further development. THIS SOFTWARE IS PROVIDED “AS IS” AND ANY EXPRESSED OR IMPLIED WARRANTIES, INCLUDING, BUT NOT LIMITED TO, THE IMPLIED WARRANTIES OF MERCHANTABILITY AND FITNESS FOR A PARTICULAR PURPOSE ARE DISCLAIMED. IN NO EVENT SHALL THE REGENTS OR CONTRIBUTORS BE LIABLE FOR ANY DIRECT, INDIRECT, INCIDENTAL, SPECIAL, EXEMPLARY, OR CONSEQUENTIAL DAMAGES (INCLUDING, BUT NOT LIMITED TO, PROCUREMENT OF SUBSTITUTE GOODS OR SERVICES; LOSS OF USE, DATA, OR PROFITS; OR BUSINESS INTERRUPTION) HOWEVER CAUSED AND ON ANY THEORY OF LIABILITY, WHETHER IN CONTRACT, STRICT LIABILITY, OR TORT (INCLUDING NEGLIGENCE OR OTHERWISE) ARISING IN ANY WAY OUT OF THE USE OF THIS SOFTWARE, EVEN IF ADVISED OF THE POSSIBILITY OF SUCH DAMAGE. THIS SOFTWARE IS PROVIDED AS-IS WITHOUT ANY GUARANTEES OR WARRANTIES OF WORKMANSHIP. 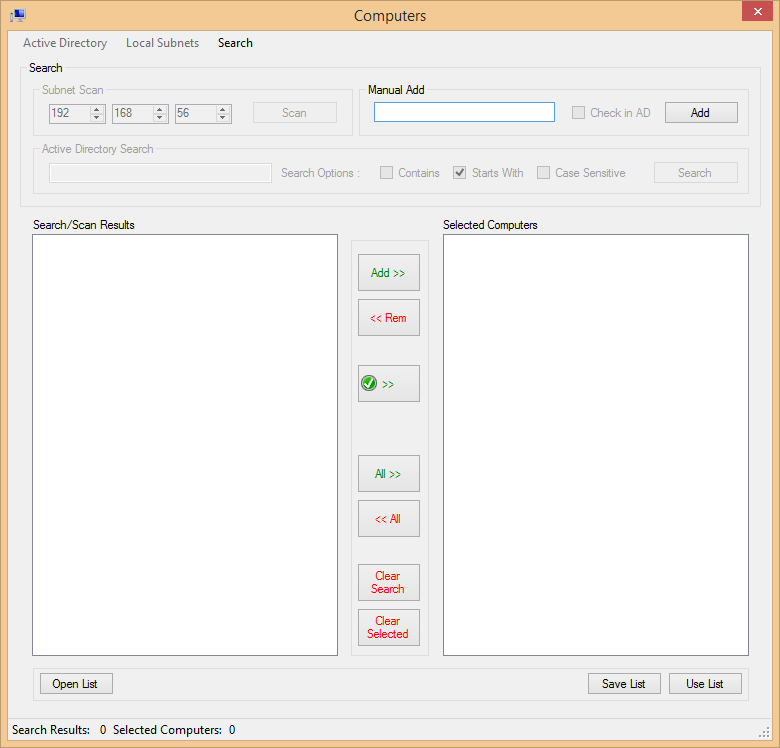 BY DOWNLOADING THIS SOFTWARE, YOU ARE SOLELY RESPONSIBLE FOR THE ACTIONS THAT YOU INITIATE IT TO PERFORM. IF YOU DO NOT KNOW WHAT THIS SOFTWARE IS USED FOR, DON’T DOWNLOAD IT. IT IS DESIGNED TO BE USED BY I.T. PROFESSIONALS WHO UNDERSTAND THE CONSEQUENCES OF PERFORMING SYSTEM MANAGEMENT TASKS.